Shortly after arriving in Seattle in 2007, I broke down and bought a good coffee grinder. After years of thinking my old grinder was good enough to grind fine and consistent for espresso, I spent the $350 for the Rancilio Rocky. I’m frugal, so the purchase was tough to make. I’m the guy who tries to squeeze every ounce of life out of something before replacing it. So even though I had the money to buy a nice grinder, I waited until my old grinder was on life support. I still the recall that feeling I got when I pulled those first few shots. They were beautiful. Thin rat tails of espresso poured out of the espresso machine. In a second, I knew everything had changed. And in a second I knew I was a fool for wasting years with that old grinder. 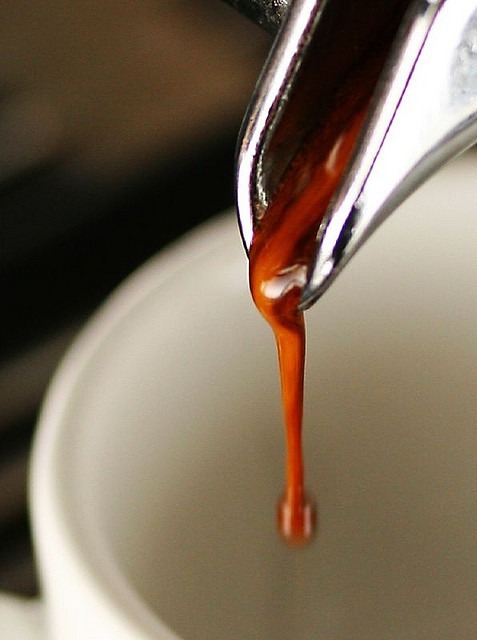 In one day, the quality of my espresso went up 10 fold. My education and appreciation of espresso went through the roof starting at that moment. Last week that same feeling hit me again. We got a pressure cooker for the house. I’ve been cooking with it every day. Sometimes twice a day. It is a game changer. Dishes that took hours are now done in minutes. The stock that took a day to make is now finished in one hour. I can bake potatoes faster in the pressure cooker than it takes to preheat the oven. I’ve spent the last 6 years or so teaching myself cooking. And although I am proud of what I’ve learned, I now realize that learning curve would have been greatly accelerated had I purchased a pressure cooker years ago. When you reduce the cooking time by magnitudes, you cook more. When you cook more, you experiment more and you learn faster. Not to mention you eat better and save money. After doing a bunch of research, we decided to go with the recommendation of America’s Test Kitchen. They preferred the Fagor 8-Quart Pressure Cooker over other models. When I first considered getting a pressure cooker, I had safety concerns. What I learned is that the engineering of 2nd generation pressure cookers is far superior to the old models. The article New Valve System for Pressure Cookers details the differences between modern and old school pressure cookers. The short version is new pressure cookers are completely safe. What about the nutrient loss? 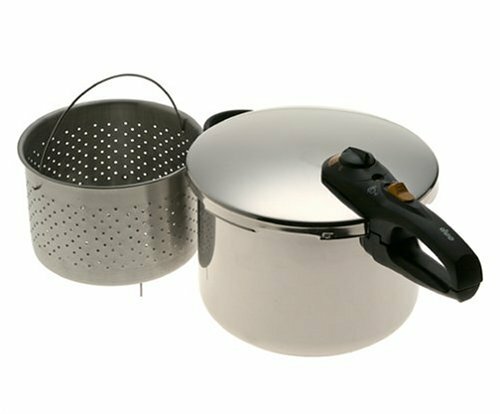 The site hip pressure cooking has an article that makes the case more nutrients are retained when pressure cooking veggies over boiling, steaming or microwaving. And the article also explains why the high temperatures in the pressure cooker don’t create carcinogen compounds that occur with frying or grilling. Also, Dr. Stephan Guyenet of Whole Health Source, who is also a fan of Weston A. Price, loves his pressure cooker. Good enough for me. Here is an overview of a few things I’ve made so far and how long it cooked once the pressure gauge popped up. Can you tell I’m excited? I feel like someone just added years to my life. I’ve spent the last week looking up ideas for the pressure cooker. Each time I see a recipe, my first reaction is disbelief that it could cook that fast, followed by excitement. And the quality of everything I’ve made so far has been as good and usually better than other cooking methods I’ve used. This is especially true for the beef stock. Super rich and gelatinous. No more babysitting a stock pot for 24 hours. If you’ve been considering a pressure cooker but haven’t purchased one yet, all I can say is GET ONE! I love my pressure cooker! Making stock is the number one reason to get one. I’ve never gotten such a gelatinous stock before. @Dhammy – Will be interested in hearing what you make. I will be attempting a Vietnamese Chicken Congee tomorrow. Did it in a rick cooker a few times, but it got too spongy. So how do you know how long to cook stuff? Cook book? Experimentation? @BigTex – I use a search engine and try to get 3 data points. Remove any outlier and then average the rest. I really like my pressure cooker. I have the electric one that Stephan Guyenet recommended. The bad part about it is I put off starting dinner because I know it will not take as much time and then don’t allow myself enough time to get it all ready. Silly me. I agree. My mother swore by hers but she was always afraid of a pressure problem…especially when the little wobbly thing on top blew out and punched a hole in the ceiling. I was a little afraid, too, but bought one anyway and I use it often. I cook beans often so that’s my main use. And cooking times? It’s like economists. Ask ten economists a question and you’ll get eleven different answers. Use the charts you find online but make your own chart after trial and error. @Robert – Great idea. I recently made a pot roast where the times were wildly different. One was 20 minutes. One was 90 minutes. I did 45 and it turned out perfectly. @Pauline – Thanks for sharing that resource. Some feedback on the Instant Pot. Its smaller than it looks as the pot inside can be taken out of the pressure cooker. The surface of the base heats up quickly and you can pressure cook manually, or use preset functions. You can sauté before pressurising. Its fast and although I felt uncertain using it initially, it quickly established itself as very usable. I made a bolognaise in 10 mins plus heating an extra 5 mins closer to the dishing up time. You can vent the pressure quickly or give it the normal 10 minutes to allow it to reduce the pressure by itself. Its very user friendly and I think it may become my favourite means of cooking when I want to speed things up. It definitely intensifies flavour and gives an even cooking experience without having to keep watch over a pot. You can set the time and it counts done and beeps when ready. Also can be set on keep warm where it has a clock timer which tells you how long its been on low. Very worthwhile buy. You can steam, slow cook and use for normal cooking or as a pressure cooker. Thanks MAS. Bought the Instant Pot a couple weeks ago because of your recommendation. It is even better than you said. I now use it instead of the rice cooker. I didn’t think it would do a BETTER job on the rice than the rice cooker. I’ve been doing chicken, beef, all sorts of cooking in it. Great product. @Mycroft – Cool. Glad to hear it is working for you. I’ve cooked rice in mine as part of another dish, but not by itself yet. Will give it a try.